The judicial committee supervising elections of the Egyptian Journalists Syndicate Council announced on Friday that the head of the State Information Service Diaa Rashwan had won the position as head of the syndicate. 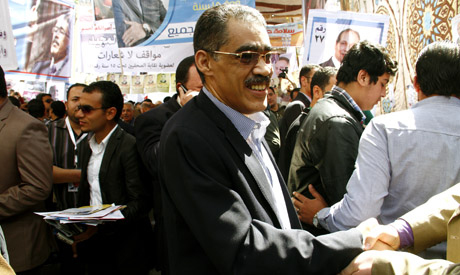 Rashwan won with 2,810 votes; the second-highest scoring candidate, Refaat Rashad of Al-Akhbar Al-Youm, got 1,545 votes. The chairman of the committee said that the total number of journalists who voted was 4,588, and there were 235 invalid ballots. A total of 11 candidates competed for the position of head of the syndicate. The results of the vote for the election of six new members to the 12-man syndicate council have yet to be announced. A total of 52 members competed for the council positions from different national newspapers. "My colleagues, members of the General Assembly, thank you very much for this unprecedented presence in any election," said Rashwan. "This is a very serious stage in the history of the profession." Rashwan is the current head of the State Information Service (SIS), a former syndicate chairman, and former head of Al-Ahram Centre for Political and Strategic Studies.